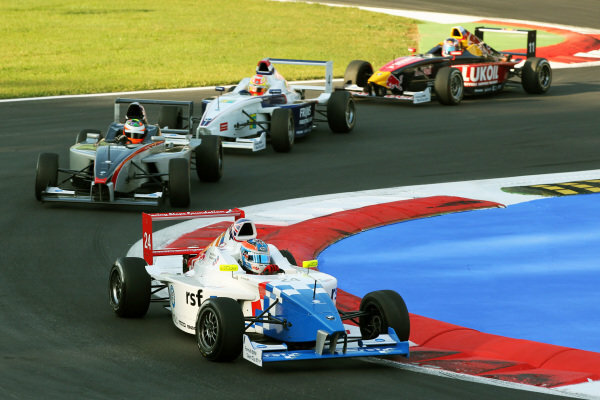 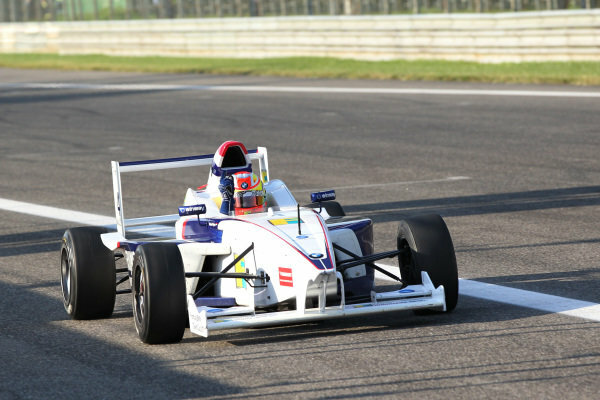 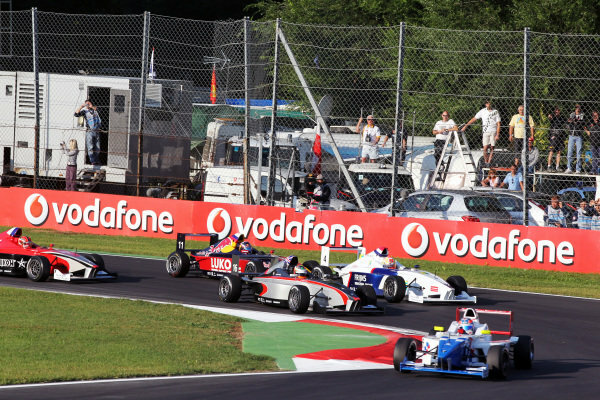 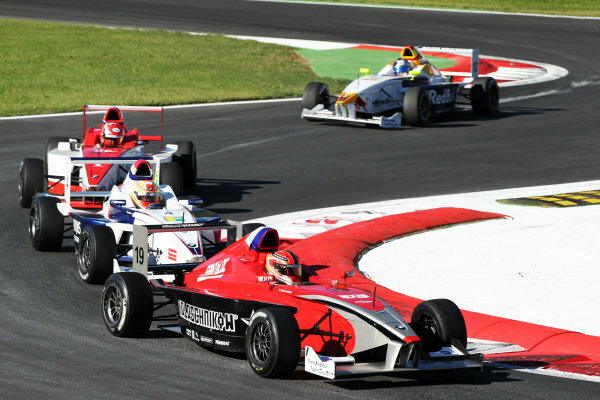 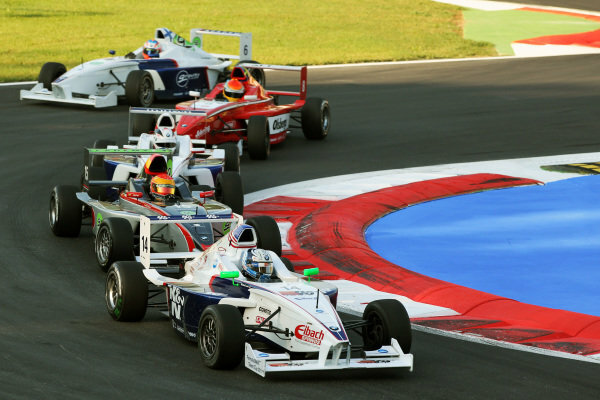 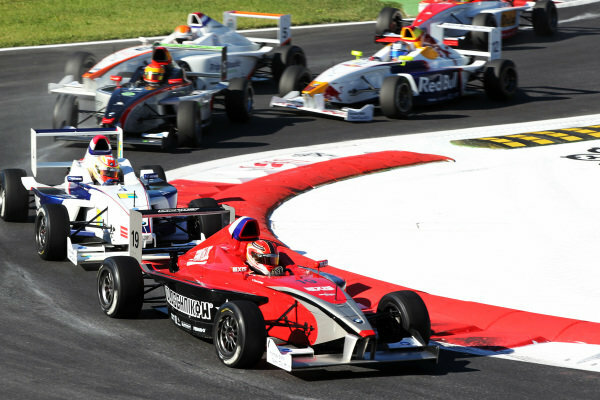 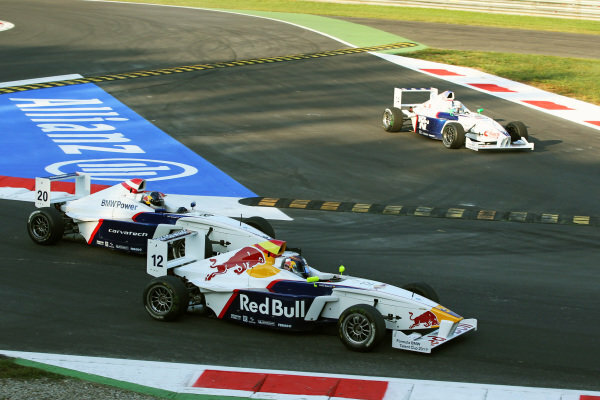 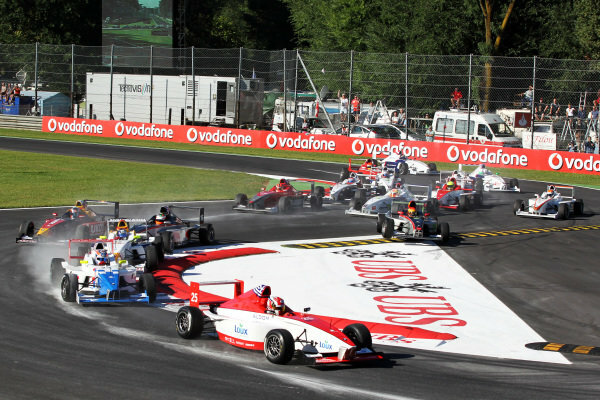 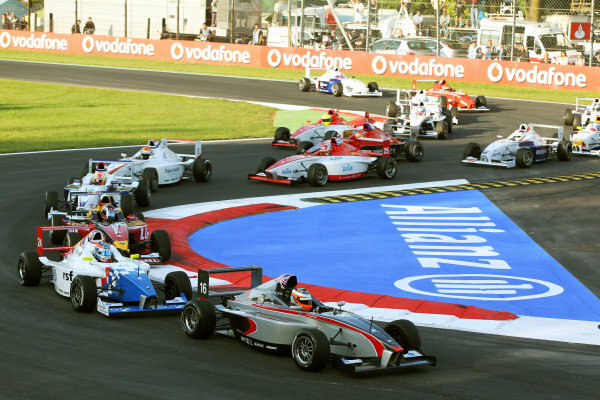 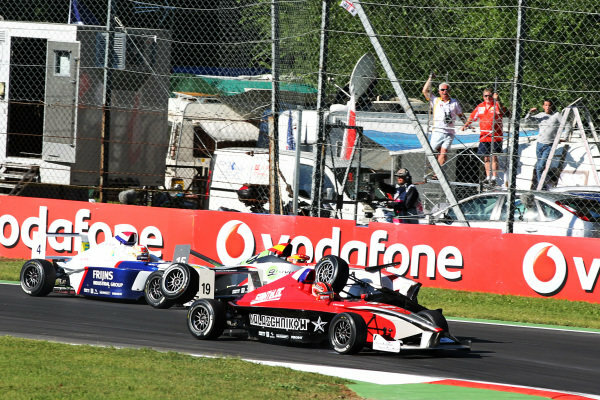 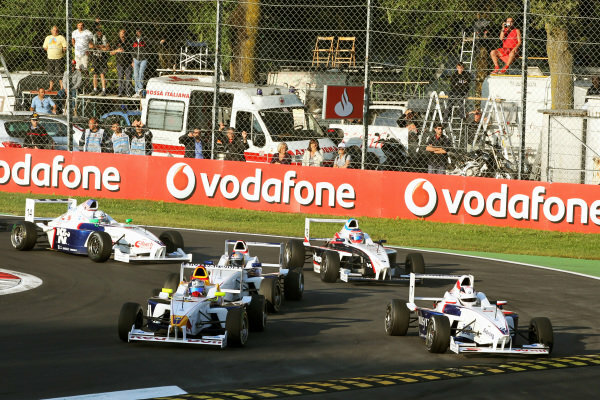 George Katsinis (GRE) Fortec Motorsports leads at the start of the race.<br /> Formula BMW Europe, Rds 12 & 13, Monza, Italy, 10-12 September 2010. 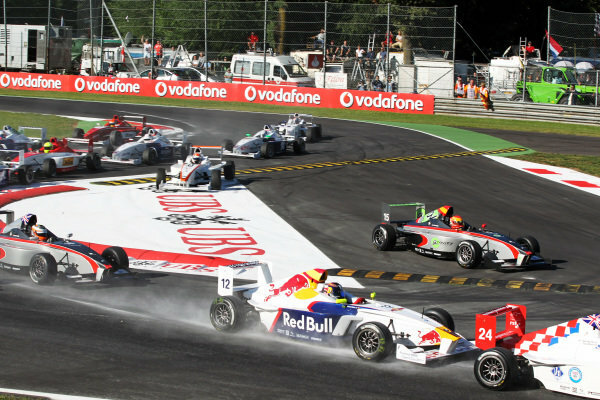 Carlos Sainz Jnr (ESP) Eurointernational at the start of the race.<br /> Formula BMW Europe, Rds 12 & 13, Monza, Italy, 10-12 September 2010. 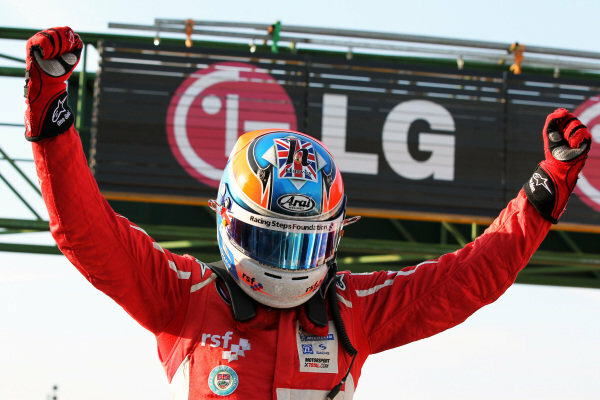 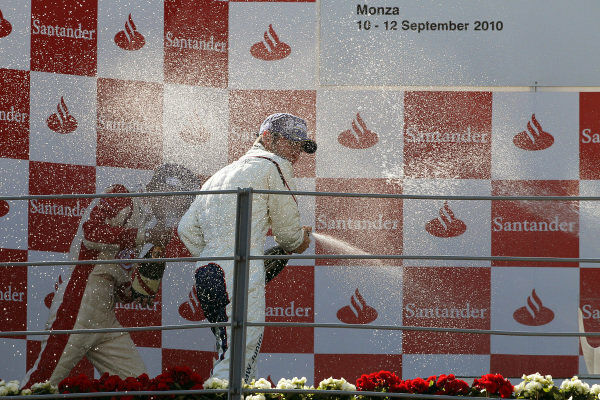 Champagne spraying on the podium.<br /> Formula BMW Europe, Rds 12 & 13, Monza, Italy, 10-12 September 2010. 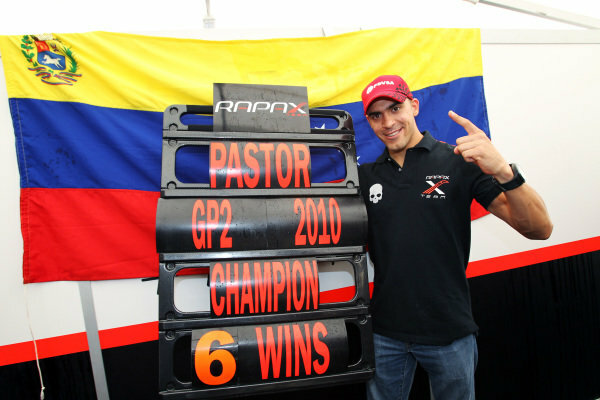 Pastor Maldonado (VEN) Rapax celebrates his GP2 Championship.<br /> GP2 Series, Rd 9, Race 2, Monza, Italy, Sunday 12 September 2010. 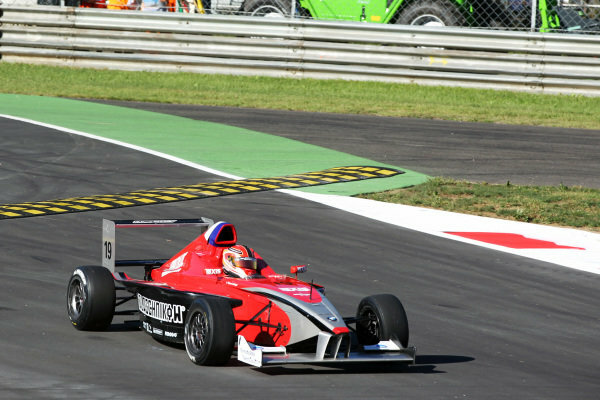 Come Ledogar (FRA) Eifelland Racing is mounted by Javier Tarancon (ESP) DAMS.<br /> Formula BMW Europe, Rds 12 & 13, Monza, Italy, 10-12 September 2010. 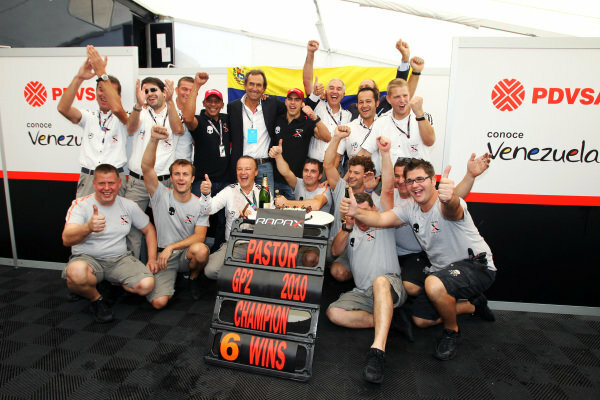 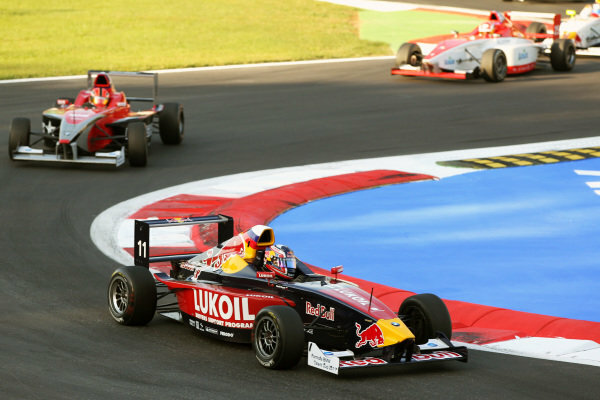 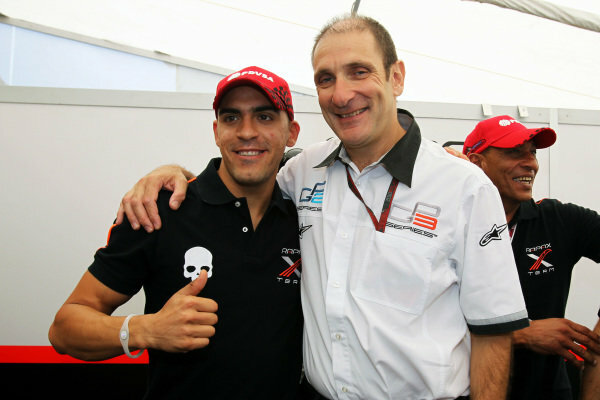 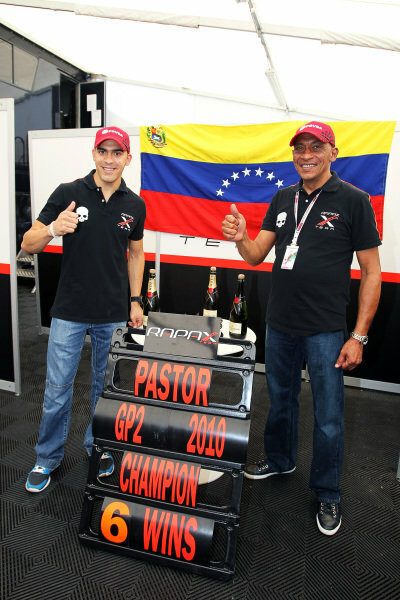 Pastor Maldonado (VEN) Rapax celebrates his GP2 Championship with Bruno Michel (FRA) GP2 Series CEO.<br /> GP2 Series, Rd 9, Race 2, Monza, Italy, Sunday 12 September 2010. 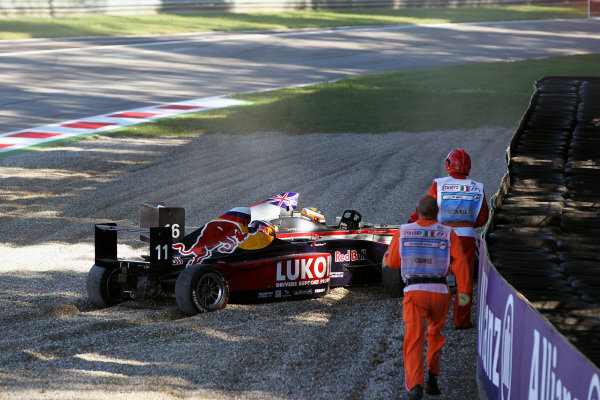 Daniil Kvyat (RUS) Eurointernational out at the start of the race.<br /> Formula BMW Europe, Rds 12 & 13, Monza, Italy, 10-12 September 2010.